is making them do stuff you think is cool. 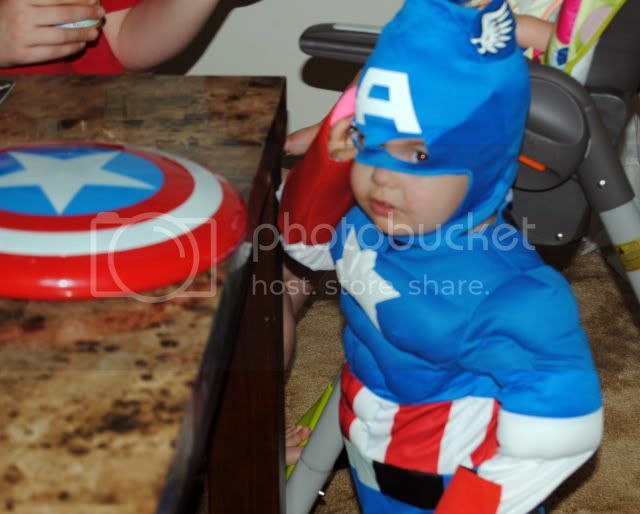 Here is my two year old as Captain America...the only hero he knows is Iron Man(from a talking toy), but its never too late to teach him about better choices. 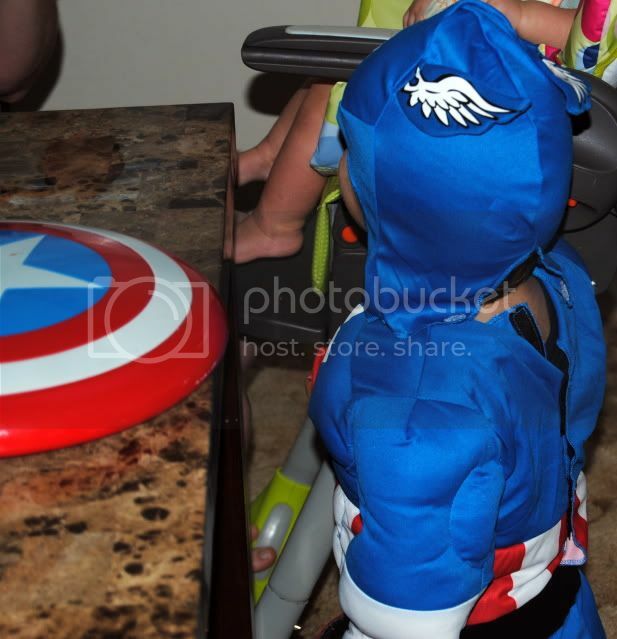 With this costume and his Batman pajamas, I think he is on a even course!